Eclairs are wonderful pastries that seem to be more popular right now than at any time in the recent past. While classic eclairs are filled with vanilla cream and topped with a chocolate glaze – and there is nothing wrong with that delicious flavor combination – modern eclairs are bolder, filled with more flavor and finished with more color. 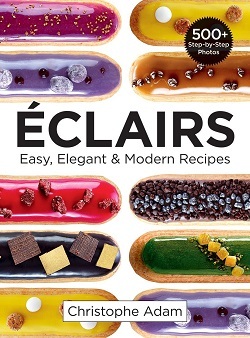 In Eclairs: Easy, Elegant and Modern Recipes, you’ll find a wide variety of tempting recipes that will have you in the kitchen baking up eclairs for whatever your next occasion is. The recipe walks bakers through the technique for making good choux and for shaping perfect eclairs right out of the gate. One thing that you want when making eclairs is for all the pastries to be the same size and shape, so practicing your piping technique is key. If you’re a bit rusty when it comes to choux, you might find that your first few don’t look as perfect as your last few. Fortunately, the eclairs will still taste delicious even if they’re not picture-perfect. Once the basic and techniques are established, the book gets into the individual eclair recipes. 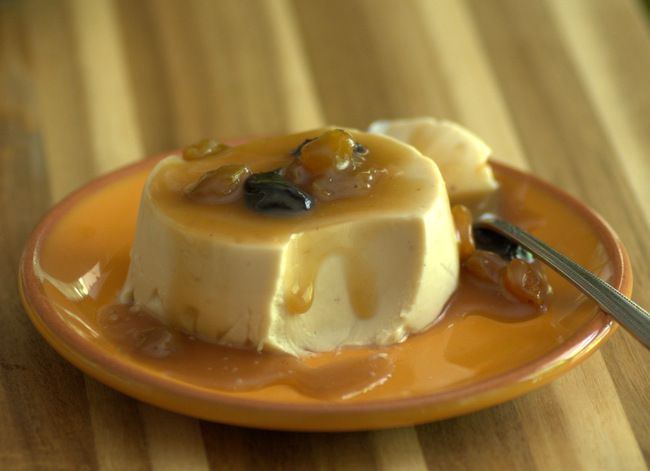 The fillings included in the book are very creative, with flavors from caramel to fruit to chocolate, and the finished eclairs look just as good as they taste. The recipes are illustrated with fantastic photos that will walk you through the process of putting together picture-perfect eclairs and give you a great idea of what you’re aiming for when you start with each recipe. 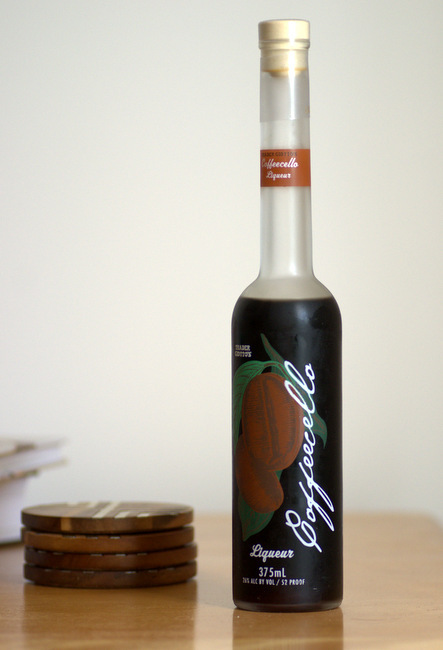 The recipes are very clearly written, but they are quite involved, so you will find that you need to stock up on ingredients like high quality chocolate, unflavored gelatin, glucose and decorations to exactly reproduce the recipes in the book. If you like eclairs, this book will help you hone your technique and turn you into a master. And if you’re relatively new to the pastries, keep in mind that you can always keep things simple by making just the choux and the fillings to start with, then add the decorations as you build up your skills.